Make a meaningful impact on people’s lives in the BOOMING Healthcare Market! 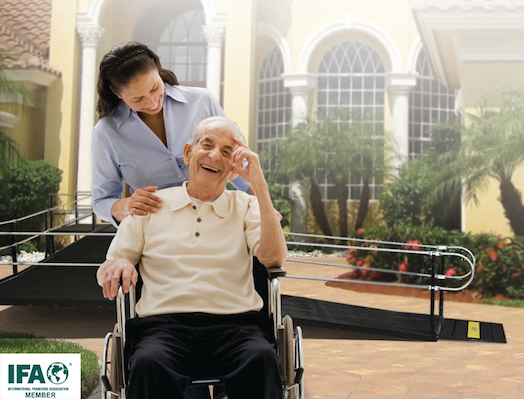 Franchise owners enjoy a rewarding career helping others make a meaningful impact on people’s lives, serving the aging population in their home health-care setting. This is the largest & fastest growing market segment in the U.S.! The population over aged 65 is growing 75% from 40 million today to 70 million in 2030. Low Competition – Amramp’s franchise is a unique niche market within 3,000 franchise opportunities. Market Support – We provide you with complete marketing support via direct mail, territory research and more. You are never alone. When you become an Amramp Franchisee, you become a partner in our nationwide network, receiving all the training and support you need to run a successful business.